What has happened so far at the monastery? November. 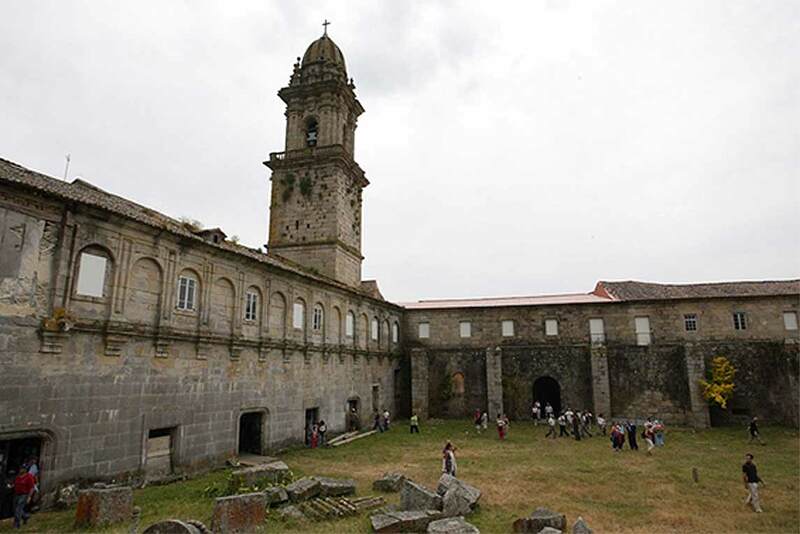 Vasco gallega buys the monastery for € 2.4 million. 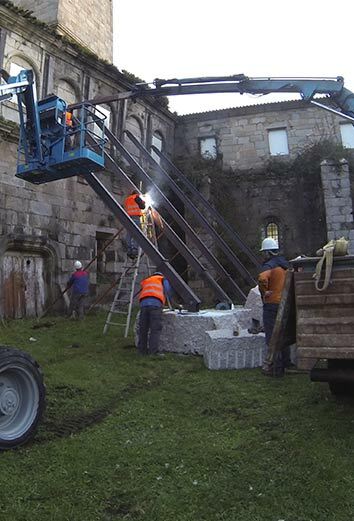 Vasco gallega acquires the Monastery in a state of urgent need for repair and maintenance. The first rubble removal, roof renovation and façade retention works begin. Southern wall and roof replacement works. 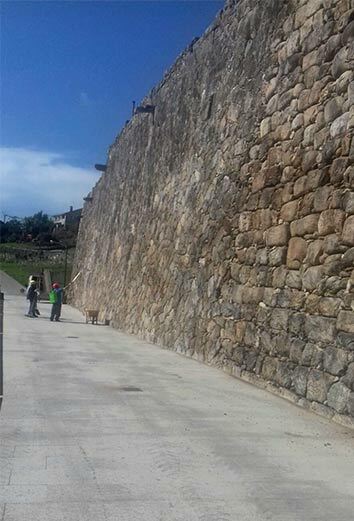 Retaining wall facing the sea. A new stage. Re-launch of guided tours. New maintenance works. 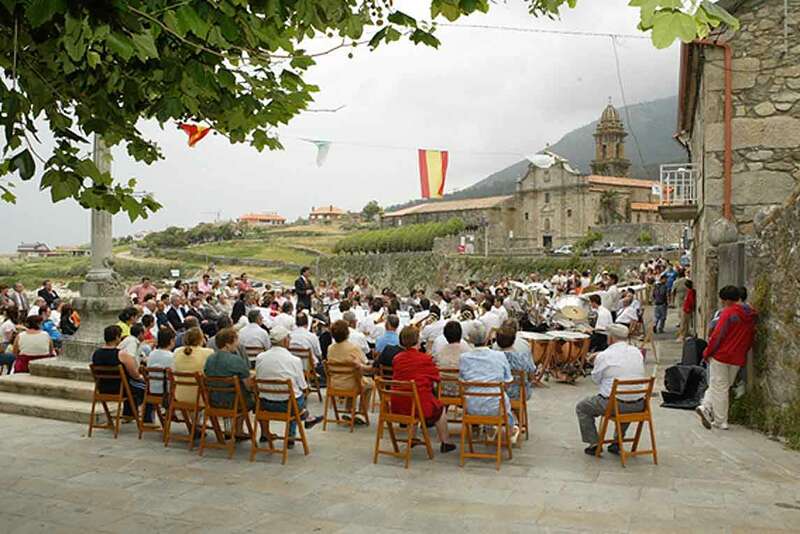 Several days of pilgrimage were organized along with ‘Amigos de los Pazos’ to travel along the A Guarda – Vigo section, divided into 4 stages of 15 km each. 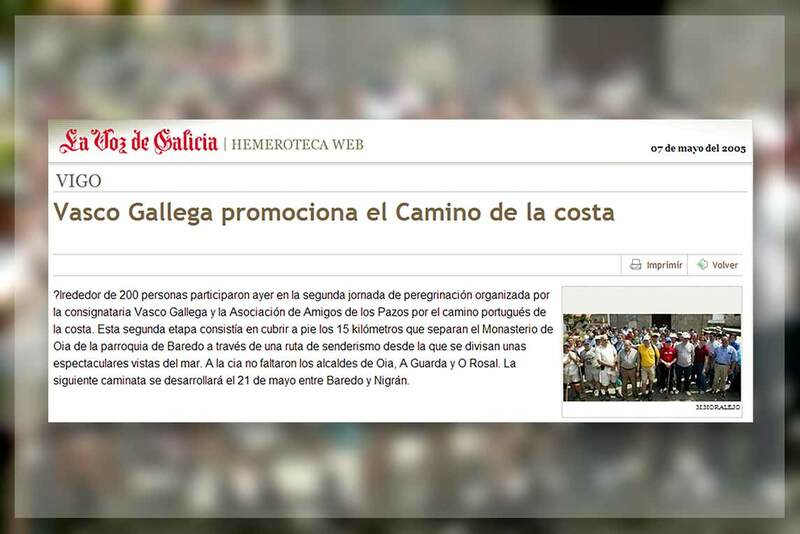 With the objective of achieving official recognition as the ‘Camino de Santiago’ which was completed in 2015. “Living Stories. The memory of the people”, Sarah Barbará. 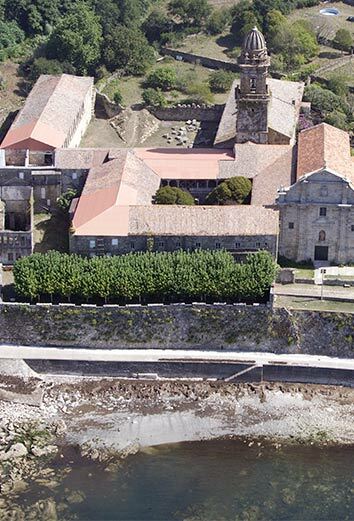 Four neighbors of Oia were interviewed to share their memories about the Monastery: Luz Divina Pereira Velasco, Raquel Estévez, Esther Estévez, Pura Granja. This work was included in the Oral History background of the Civil War. 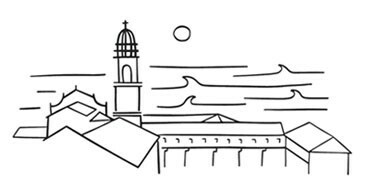 Interuniversity Research Project “Victims, names and voices” University of Santiago de Compostela. 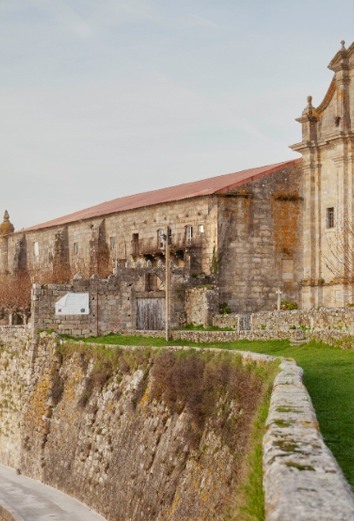 On June 2, a day of presentations on the monastery was held by personalities from the Ministry of Culture, Heritage of the Xunta de Galicia, History Professors and technicians of the Royal Monastery of Oia. The celebration continued on June 10 with more presentations and the first opening to the public for the first time in the history of the Monastery of Oia. Monastery opening doors from 2006 to 2016 with previous booking. From the beginning, our project was based on sustainability. A balance between maximum respect for heritage and economic profitability, between the social and cultural evolution, and the enhancement of a unique asset. 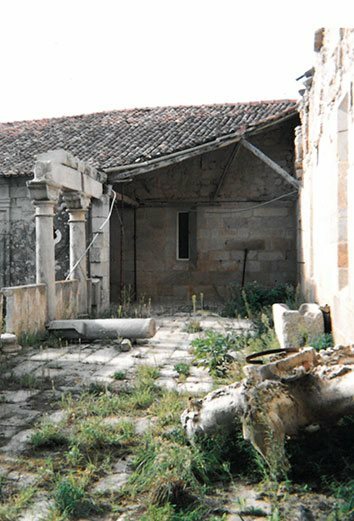 From the beginning, both the authorities and the property were clear that the current urban framework does not allow the viability of the rehabilitation of the monastery as a hotel business. As it is not possible to make a profit due to the necessary investment in the 7,500 m2 constructed area and the 57,000 m2 of total surface area. For this reason, in 2004 it was agreed with the local and regional administrations that the RMO project would fit within the new ‘Plan Xeral de Ordenación Urbanística (PXOM)’- urban framework- for next approval. Because it would be impossible to fit the proposed development into an obsolete urban planning created in 1996. 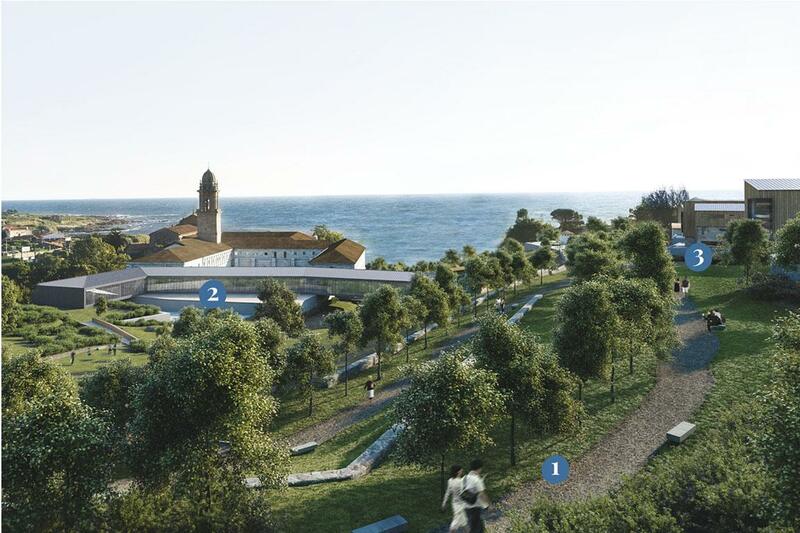 This new urban framework might offer up to 72 rooms for hotel use, and the construction of 20 edifications in the A Riña area, where there is currently a hotel, a health center, a nursery and a few homes among many other constructions. 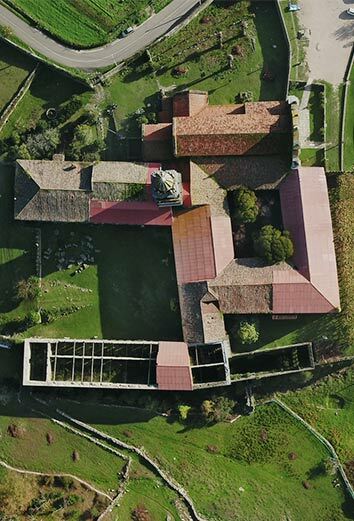 Project proposed by the property. 1. Green belt along the Lavandeira river, free for public use and integrated with the environment. It improves the visibility of the monastery. 2. 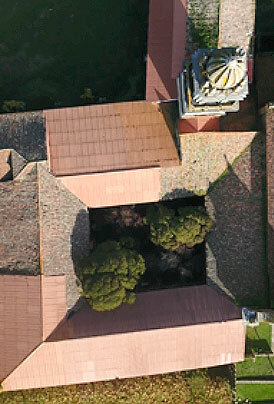 Closure of the Naranjos courtyard as planned by the monks to build between 38 and 72 bedrooms. 3. Residential area at the northern perimeter of the 57,000 m2 area surrounding the existing housing, with the prior authorization of the regional Administration. 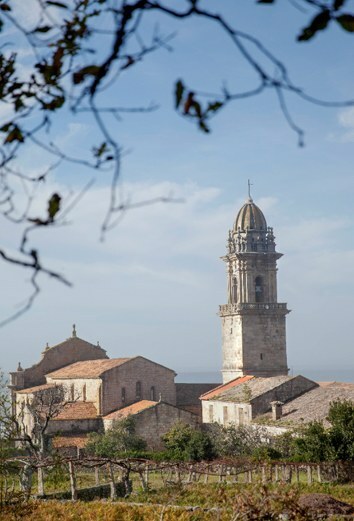 During the following years it was evidenced that the urban framework (PXOM) was not viable, and for that reason in 2011 a new Urban Agreement was signed with the City Council, who will define the process to follow to give urban viability to the Monastery project. This document, with full legal validity and protected by the technical services of the City Council, is approved by the Municipal Plenary. Despite this important progress, the project has been paralyzed since 2015, even with favorable preliminary reports from the Xunta de Galicia. 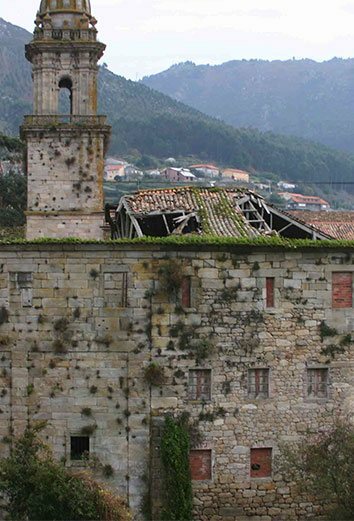 Unblocking this situation would mean, not only the integral rehabilitation of the Monastery, but also a green corridor for the enjoyment of neighbours and visitors along the Lavandeira river, land transferred by the property to the City Council for municipal use, and the integration after more than 800 years of the Monastery in the municipality, achieving something historic.